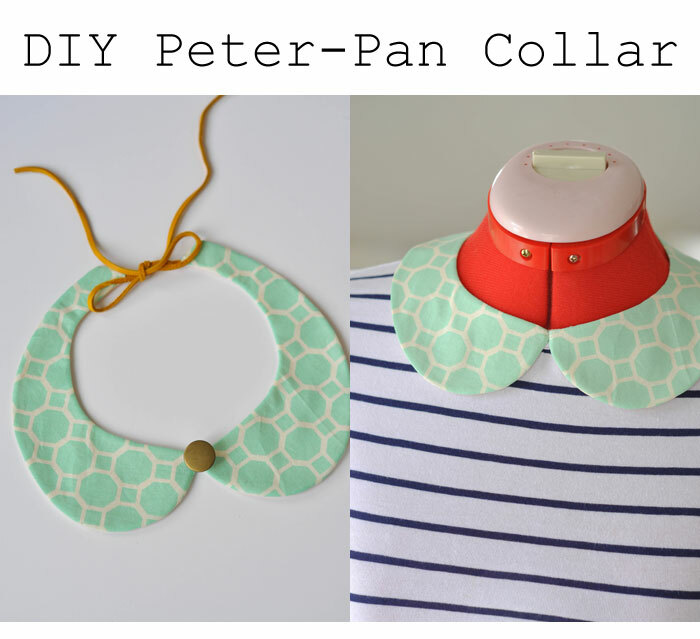 So Peter Pan collars are a pretty big trend right now, and I really love them. I'm just glad it's socially acceptable for girls over the age of 6 to wear them now! 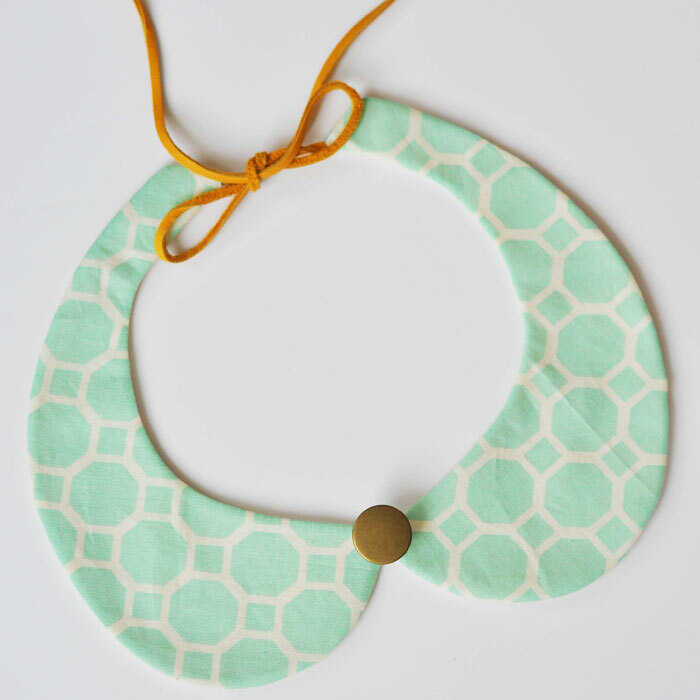 A fun way to wear them is as a statement necklace like this one, to hip-up any plain shirt. I know there are already a few DIY tutorials out there for necklaces with a similar idea as this, but I couldn't find one exactly like this, and I felt like I had a few things to add sewing technique-wise, so I created my own little tutorial as part of the Kollabora Alt Summit Challenge. Find the full tutorial here, and let me know if you make one! I think my next one will be in something sparkly. i love this, i want to see a pic of you wearing it! 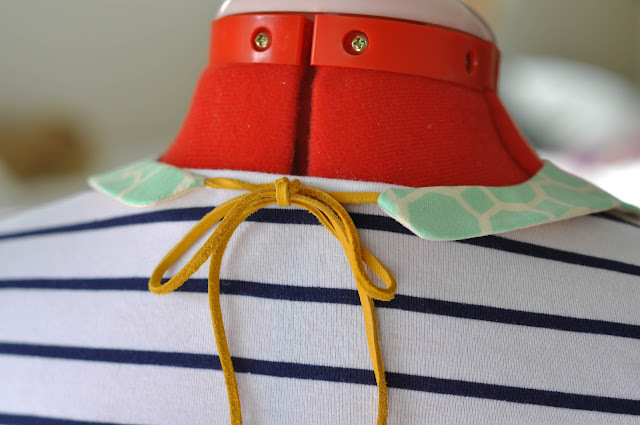 So funny, looking for a tutorial for a DIY peter pan collar to make to wear TO Alt ... and look where I landed :) Thanks so much, if I pull it off I want to show it to you! 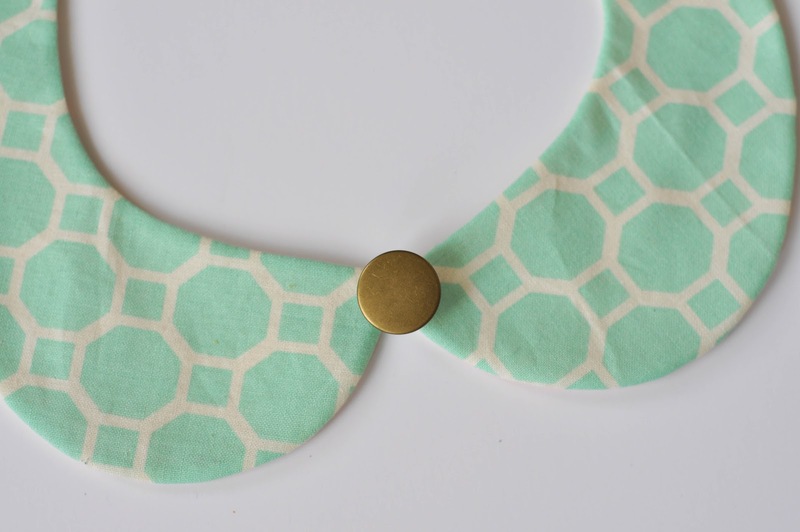 I used this pattern for a necklace and it worked perfectly! I'd been searching high and low for a pattern with a scale and yours fit the bill! I will be posting about my necklace in a few weeks (I group blog so I only post once a week) and I am linking to this post for the pattern. Thank you for sharing!